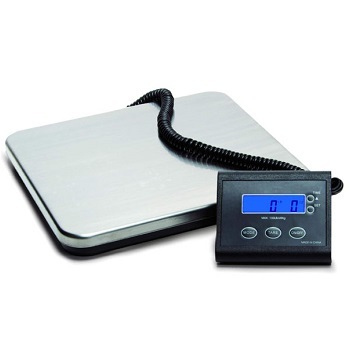 Electronic flat table scales for easy, reliable weighing. Ideal for home, or office for parcels, letters or food. TARE and hold functions. On/Off button. Auto Shut-off function. 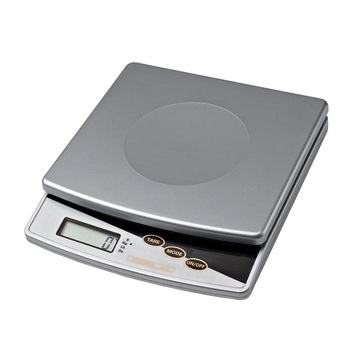 Button to switch between grams and ounces. Ideal for mailroom, warehouse or office for parcels and larger packages. 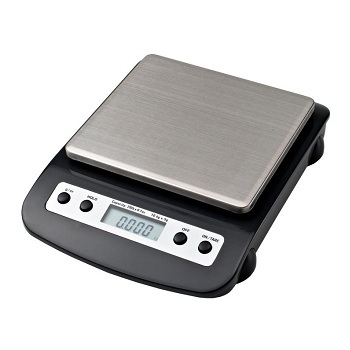 Capacity - 65kg (143 lbs) - 500g lowest registered weight.